My Life Is A Fairytale That Will Never End. : Daemon Invasion! 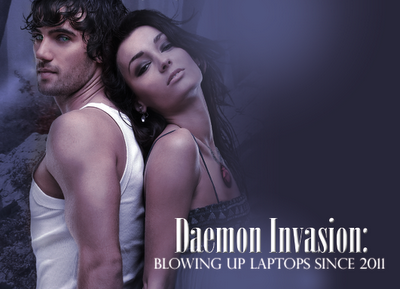 Daemon Invasion! - My Life Is A Fairytale That Will Never End. And you can find so many more of these beautiful "Hey Kitten" memes here :) I love them all! How exciting!!! I wish they were coming to Texas, but at least they will be stateside. I bet that is going to be fun for the fans. I feel so awful that I haven't started these books. Everyone seems to love them... and it's nice that you're showing your gratitude for them coming to the States but you don't actually live here :) :) Too bad they won't be in Kentucky or Ohio. Thanks for sharing, Nea!